According to two recent posts by Wikileaks on Twitter, 2 reliable sources within Ecuador have admitted that Assange could be expelled within days or hours. Julian Assange was granted Asylum by Ecuador in 2012 inder President Correa and has been in the Ecuadorian Embassy in London ever since. If it is not bad enough he must do without sunlight, fresh air or proper medical care, he has been gagged for over a year. Recent developments with the new President of Ecuador Lenin Moreno have put Assange in danger. It seems Moreno is trying to distract from his own crimes described in the INA papers by attacking Wikileaks and their founder Julian Assange. However, all Wikileaks did was tweet a link to the papers themselves. There was no hacking of phones, or computers. In fact it is impossible for Assange to do so since he has not had access to the internet in over a year. Also, security in the Embassy is essentially spying on everything Assange does. Much of the psychological torture that Assange has endured through Moreno sounds very much like what the CIA does. Moreno is so entrenched in buddying up to the US government that it is very possible he is receiving instructions from them. If Assange is prosecuted and convicted in the US, this sets a very dangerous precedent for #FreeSpeech and #FreePress rights and undermines the Constitution. It will also be the death of whistleblowers and journalists who do not spread government propaganda. This cannot happen. 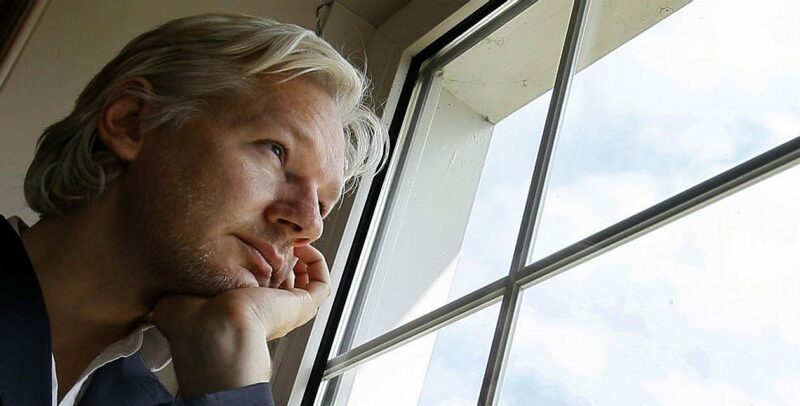 In essence, if Moreno does expel Assange he will be committing political suicide and the same goes for President Trump if he allows this atrocity to happen. Assange supporters worldwide will not allow this without a fight! If you are reading this, contact your elected officials and demand they speak out to save Assange. Also you can call the Ecuadorian Embassy in London. We need to protest this in the millions folks. It’s time to stand up for freedom! It’s tiime to fight for Assange! Great commentary as usual Angel. Yes how will the world view Moreno and Ecuador? And how will Trump deal with this?